The MG grapples are based on the time proven SG grapples, which are the industry standard on forestry forwarders and log trucks. Hultdins, a leading supplier of by-pass type grapples, introduced the MG SuperGrip series of fixed mount grapples for excavators from 8.8 to 27.5-ton (8 to 25 t) capacity. The MG grapples are based on the time proven SG grapples, which are the industry standard on forestry forwarders and log trucks. 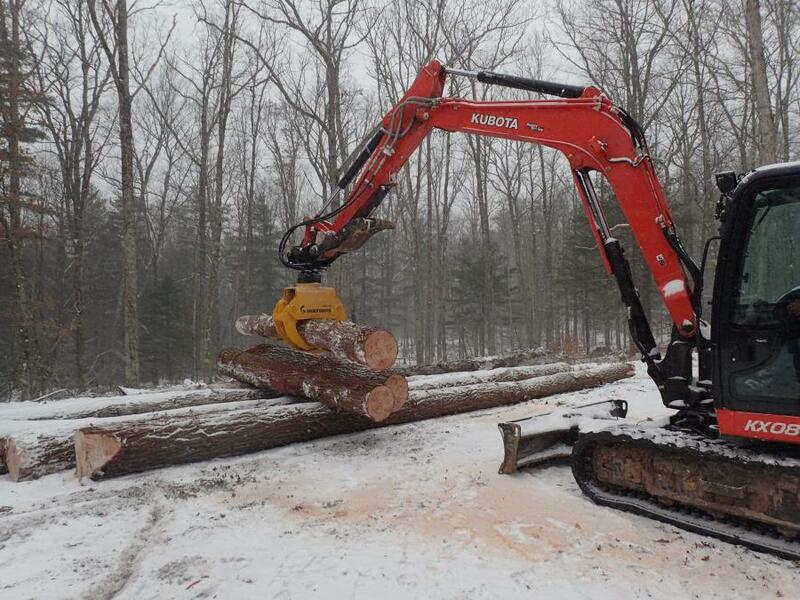 The MG grapples feature a by-pass arm design for a variety of grapple work for land clearing, feeding chippers or grinders, storm clean up, tree service and landscaping materials. Equipped with the XR rotator, a compact low-profile design with very high torque and load capacity, excavator mounts are available for direct boom mount or to match the machine coupler. For more information, visit www.hultdins.com.